Dhatec offers a variety of tools, designed for Pipe Handling in a safe way and to protect the quality of the pipe. All our solutions are based on solid engineering and testing in practice. Our solutions and experience do not only protect the pipe quality during Pipe Handling, but also improve safety and efficiency of logistic processes. 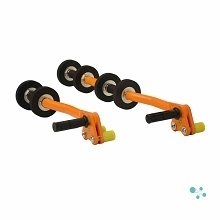 We offer lifting equipment such as Pipe Hooks and manoeuvring equipment with our Pipe Roller. Dhatec offers several options for Pipe Handling. 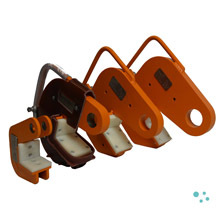 We offer different kinds of Pipe Handling products. Dhatec provides you with the service of a webshop. You can now buy your Pipe Handling products directly in our shop with same day shipping and worldwide delivery. You can also ask us for a Pipe Handling enquiry.